The entry-level occupational therapy doctoral degree program is accredited by the Accreditation Council for Occupational Therapy Education (ACOTE) of the American Occupational Therapy Association (AOTA) . The entry-level Occupational Therapy Doctorate is a Bachelor’s to Doctorate program that offers opportunities for in-depth study of, and clinical experiences with, clients of all ages who have limited capacity to perform to their expectations in their everyday lives or are at risk of developing a limiting condition. 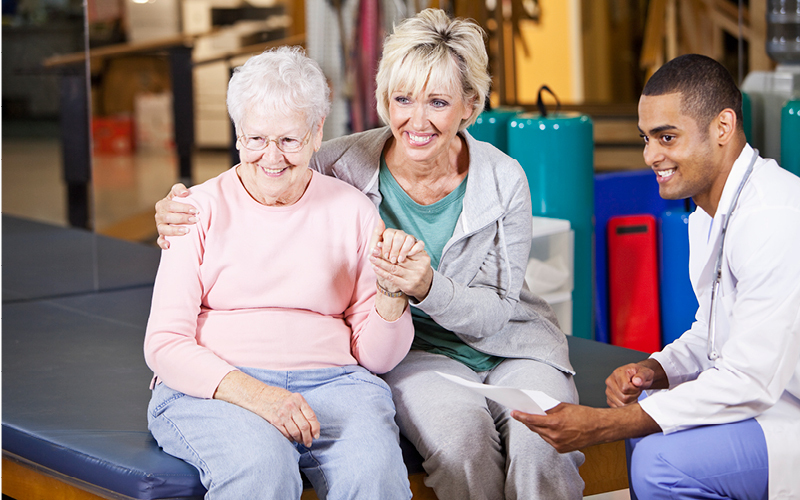 The goal of occupational therapy is to assist individuals to achieve their maximum level of independent living and quality of life through remediation of, adaptation to, or prevention of physical, cognitive, perceptual or mental health functional limitations. Occupational therapy utilizes the consultative process in addition to direct intervention and works with populations and systems as well as individuals. The entry-level Occupational Therapy Doctorate degree is offered by only a few programs in the country. Our program's nationally-recognized faculty presents a wealth of knowledge and experience. Students will receive guidance and support from a professional mentor, upper-level peer mentor, and faculty advisor. Experiential-learning facets are fulfilled throughout each course in the program. Specialized training and advanced certification opportunities related to the field of OT are offered. Our program requires all students to submit their research to scholarly journals for publication. Service-learning opportunities develop a stronger community both within and outside the university.